A beautiful historic district. 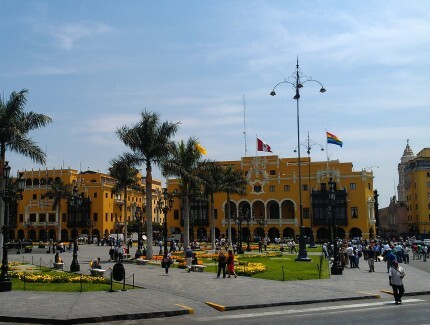 This view shows the city hall of Lima. Notice the flag at the right representing the indigenous nations.